Jack Rose’s RainCatcher.org waters the world. 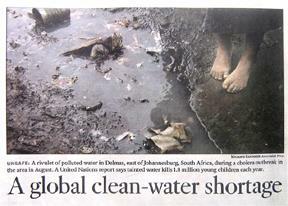 An Nov. 10 2006 L.A. Times story cites that dirty water is the second-leading cause of death among children globally. Malibu resident Jack Rose believes the next worldwide resource battle will be about water. However, if collected properly, there is more than enough water for most of the planet. 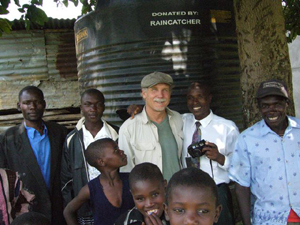 Inspired by his travels throughout the world, and for the taste of what he calls a magic elixir, rainwater, Rose is developing systems for capturing and storing rainwater that can be used by future generations of Californians and underdeveloped villages all around the world. Rose, 58, has been developing what he calls the RainCatcher since the late ’90s, when he was inspired to capture rainwater by trips to two of the wettest places on earth: Kauai and Mendocino. In the winter of 2002, Rose was living in Mendocino, which is green and lush like Kauai. Knowing that up to five million people around the world die from tainted water every year, Rose became possessed with the idea of capturing and storing water from the skies. A self-taught engineer who worked in construction for many years, Rose found the model for his system in the Golden State. 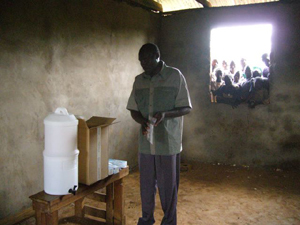 To start his project, Rose went to where the need for water was greatest. In April of 2003, he was invited to join “Water For Children Africa” in a humanitarian journey to set up water storage tanks for schools. Closer to home, Rose is applying RainCatcher to Dolphin’s Run, a Malibu home that will get all its power and hot water from the sun, and most of its water from above. 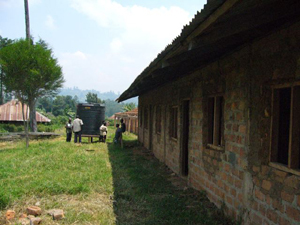 Rose’s next project is for a village called Bosiango in Western Kenya. 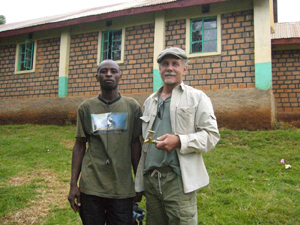 The whole story began with an email plea from a David N. Ogachi, who told Rose of the water-borne diseases that his community, especially the women and children, were suffering from, to help install safe and clean piped water. That began a long back and forth with Rose by e-mail, which can be read on the www.raincatcher.org Web site. Rose is hoping to bring a truckload of six RainCatcher tanks to the village, which will allow them to capture and store 8,000 gallons of water. “Right now they are getting their water from contaminated streams,” Rose said. Rose is putting his Miata car up for auction to raise funds for the trip as a part of the effort to install rain-catching systems in places where it’s a matter of life and death. 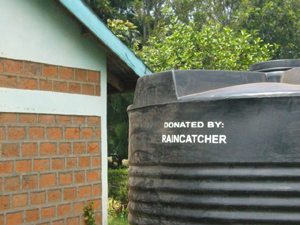 More information about the RainCatcher project can be obtained by visiting the Web site, www.raincatcher.org. Los Angeles Times article: A global clean-water shortage, November 10, 2006.